Senior Airman Jeremy L. Mosier and Tech. Sgt. Samuel Morse / US Air ForceAn F-35A aircraft. An F-35’s nose gear collapsed on a runway at Eglin Air Force Base in Florida on Wednesday. A photojournalist for the Northwest Florida Daily News was able to capture the incident. 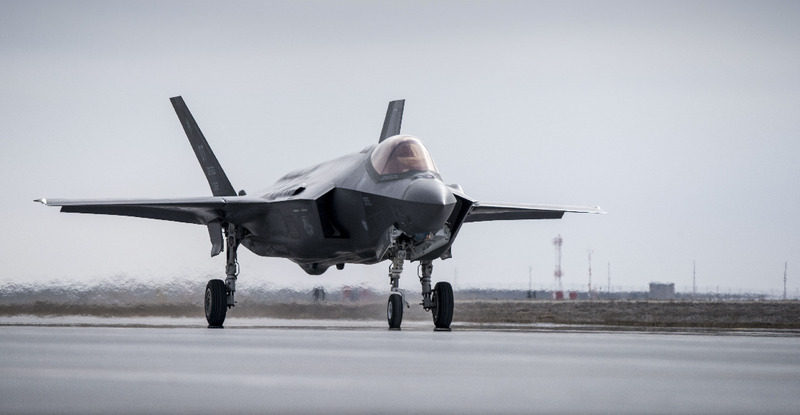 An F-35’s nose gear collapsed on a runway at Eglin Air Force Base in Florida on Wednesday, an incident a photojournalist for the Northwest Florida Daily News was able to capture. “An F-35A Lightning II, assigned to the 58th Fighter Squadron, experienced a ground mishap at approximately 12:50 p.m. today on the flightline,” according to a Wednesday press statement from the 33rd Fighter Wing. The pilot was uninjured, and the incident is being investigated, the press statement said.